Dear Inay, I Love You — FIND, Inc. Very recently, my Lola passed away after fighting renal failure for weeks. She’s a fighter. Someone who didn’t give up. The thing about her was that even though she spent a couple of years in the United States, she never lost touch with her culture. For instance, I remember eating a whole meal as a 3 year old. I was full of dinosaur shaped chicken nuggets, and my Lola would still make me merienda (snack) after I ate. She always did this. Even when I grew up and visited her in the Philippines. It’s probably why I like to eat snacks to be honest. She was the one person who refused to let me stray away from appreciating my culture. She always spoke in Tagalog with me so that I would be able to understand the language. 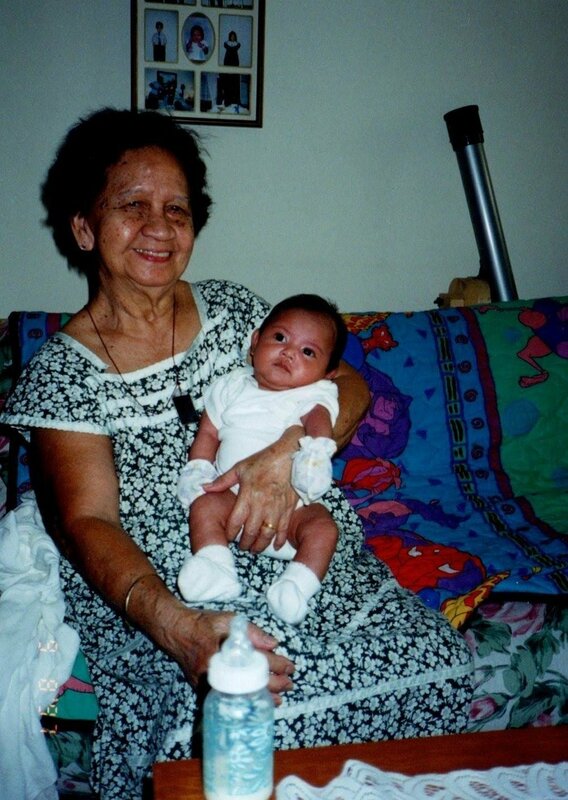 My parents mostly spoke to me in English, and my Lola always got annoyed with them for that. When she moved back to the Philippines a couple of years later, she would always send birthday cards as well as pasalubong to us because she missed us so much. Again, each year there would be more snacks. Because she knew I liked those. I’ll never forget when I saw her again when I was 9 years old. I went to the Philippines for the first time ever, and was so amazed. She talked to me about traditional dances such as Tinikling. She even showed me different Filipiniana dresses and Barongs. My Lola always asked for us to stay, and always asked when we would visit. And each year she wanted to teach me how to cook traditional Filipino dishes so that I could carry her recipes with me when I grew older. She even wanted me to go back to the Philippines when I turned 18 for my debut. I didn’t save enough to visit. Last year, she asked me again and I told her the same thing. I guess my words were just empty promises. Honestly, when she passed away, a lot of sadness and grief overwhelmed me. It meant that my plans fell out of place. That I couldn’t see her ever again. I’d never hear her tell me to always take care of myself or talk about our family and our culture. But if there’s one thing I learned from her, it’s that you should never forget where you came from. You should always appreciate the culture you grew up in, because it’s shaped you how you are now. She worked so hard, even from a long distance to make sure I didn’t forget my culture, my identity. Mahal na mahal kita, Inay at miss na miss kita.